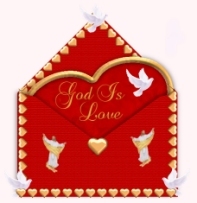 "Our love Toward God" click here, and may you receive a blessing! He loves us, that no one could love us quite like He loves us. to know He loves us, but to KNOW He loves us. us to know it even if we can't feel Him. and has no expiration date. This love of God is true and genuine. love the church will come together in unity. Well treat each other like God wants us to. Well prefer our brother & sister over ourselves. walk a close walk an everyday walk with Jesus. for you and your lies. Let Jesus be your treasure keep Him in your heart. feeling hopeless unlovable, and alone. We serve one whose greater. than he who is in the world.